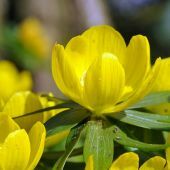 Eranthis orginated in a wooded habitat, thus require loose soil with sufficient humus. The soil should drain easily during Winter but not dry out quickly. The small, irregularly shaped corms must be planted early in the Fall if you want them to flower well the first year. You can help them along by soaking the corms in lukewarm water for 24 hours before planting. 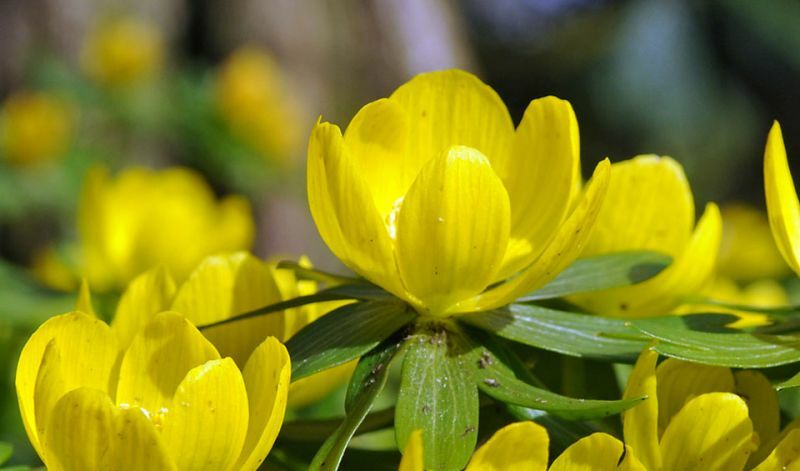 The buttercup-like flowers are enclosed by a collar of green leaves and open only when the sun shines. 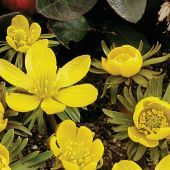 Eranthis can start flowering extremely early, sometimes flowering through the snow that is still on the ground.